If your dentist mentioned something about ‘dental caries’ at your last appointment, you may not have been familiar with the phrase. That could be because we most frequently refer to them as cavities or tooth decay – the most common type of oral disease. Dental caries can affect any of us, but with the proper care and prevention, they can be easily avoided or addressed. Dental caries are areas where the hard tissue of the tooth begins to break down. Acid is produced when sugars from food are broken down by bacteria that collects on the teeth’s surfaces. This acid begins to dissolve enamel, and eventually the pulp of the tooth. According to the National Institute of Dental and Craniofacial Research, about 92 percent of adults (ages 20-64) have had dental caries in their permanent teeth. According to the same data, more than one in four adults currently have untreated tooth decay. Caries are more common in the undeveloped world than in developing countries, due to the former’s higher consumption of simple sugar. Smooth-surface Cavities, which form slowly on the exterior flat surfaces of teeth. Tooth decay can be treated by your dentist, but if left unaddressed, dental caries can eventually eat away the entire tooth, and resulting abscesses can spread infection to its root and surrounding tissue. While anyone can develop cavities, some conditions and practices may put you at a higher risk. Poor oral hygiene is one of the most significant contributors of tooth decay, as the particles left behind from food and drink quickly break down into plaque, which will begin the process of cavity formation. Those with conditions causing dry mouth are also at a higher risk, since saliva continually rinses food particles from the mouth. If your mouth isn’t producing enough saliva, more particles and plaque are left behind. The young and the elderly are also more susceptible to dental caries. Children often need prompting to brush and floss, and older adults may have already experienced gum recession, which exposes more of the tooth to decay. Those who experience acid-reflux, or gastroesophageal reflux disease (GERD) may also be at a high risk for tooth decay, as stomach acid can wear very heavily on the surface of teeth. Preventing tooth decay is fairly straightforward. Brushing and flossing at least twice a day (and preferably after each meal) is your best defense against dental caries, along with reducing the amount of sugar in your diet, and having your teeth regularly cleaned and fluoridated at the dentist. For children, having sealants applied to their molars is also an effective way of curbing tooth decay. Sealants are easy to apply, and are a great barrier in small mouths where a toothbrush may have difficulty reaching. According to studies, kids with dental sealants are 80 percent less likely to develop cavities. 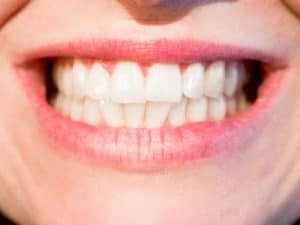 If you have recently developed a cavity, or are just in need of a thorough cleaning, our office’s professionals will be glad to see to your needs and develop a treatment plan to keep your smile looking its best. You can schedule your first appointment online, or by calling our office at 614-443-4400.